Denmark Master Trainer and Founder of Cross Dance guests Marbella Fitness Camp. 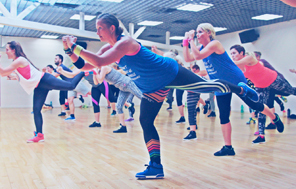 This week will offer 2 hours Cross Dance daily as well as other classes such as yoga, boxing and Les Mills. Additionally, there will be Cross Dance workshops, which will focus on Cross Dance ADD-ONS, which are Samba, Cha Cha Cha, Rumba and Jive. Funny Masterclass and team-teach is also on the program. When there are no classes, there will be plenty of time for relaxation by the large, cozy pool area and the pool bar.